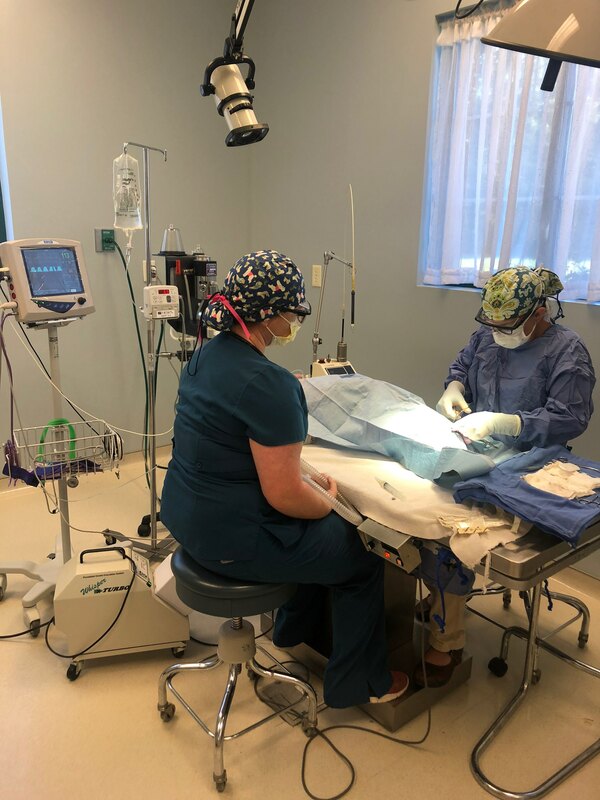 Animal Health Care Center offers a state-of-the-art surgical atmosphere including the use of a CO2 cutting laser, extensive vital sign monitoring, and a positive pressure surgical suite. We offer both elective procedures such as spays, neuters, and declaws as well as more extensive surgeries such as mass removals, abdominal exploratory surgeries, GI foreign body removals, cystotomies, and more. You pet will receive the highest standard of care during their surgical experience. From pre-operative testing to post-operative nursing care, your pet's well being is our priority at Animal Health Care Center. Call 256-461-8440 to learn more about how we can help with our pet's surgical needs!